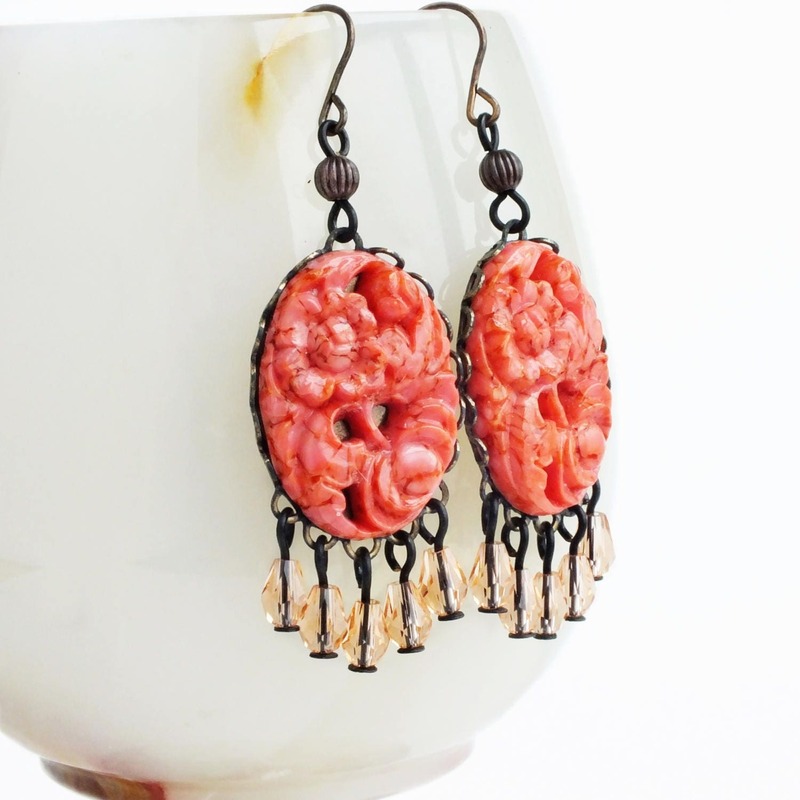 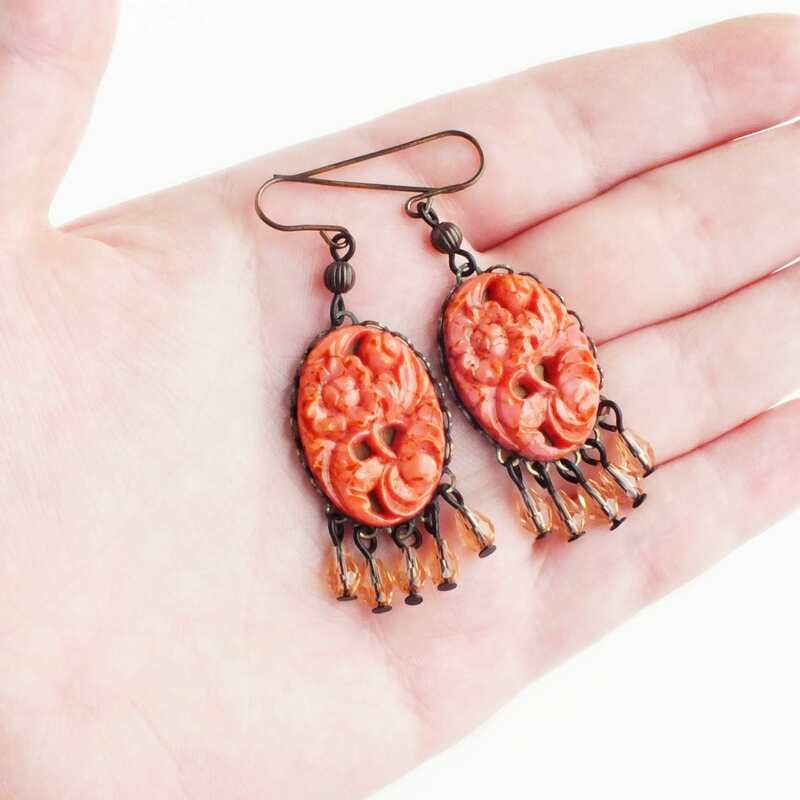 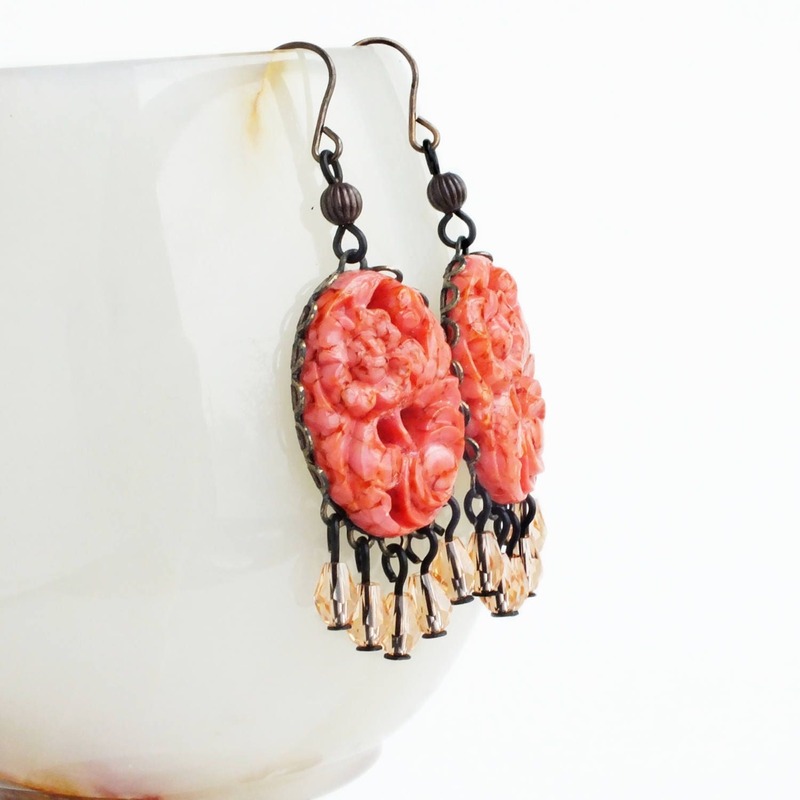 Large handmade coral red chandelier earrings with vintage floral carved coral red cabochons and peach drops. 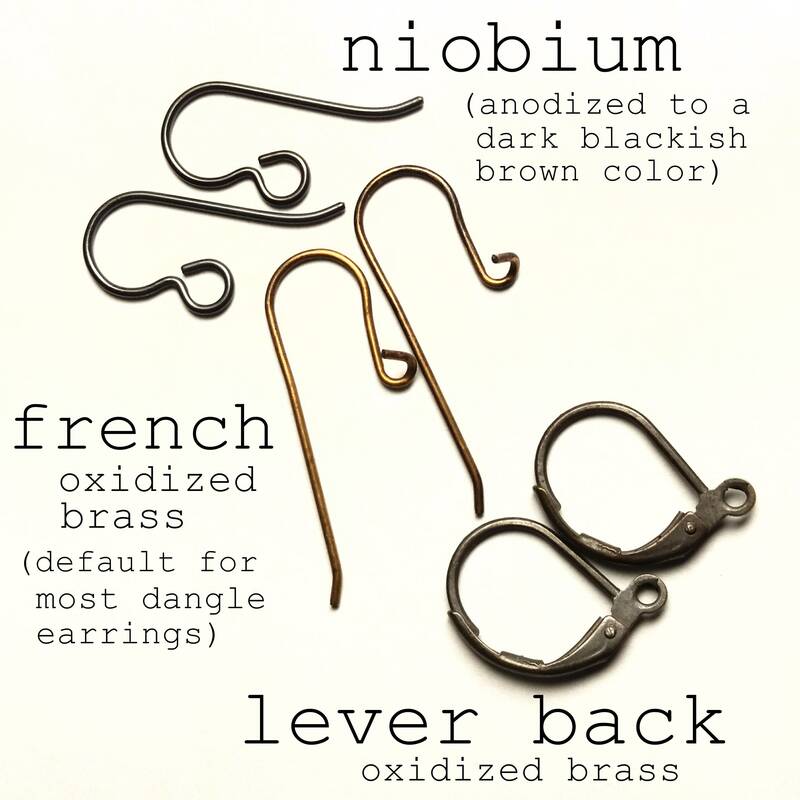 US made oxidized brass ear wires and settings made in the USA. 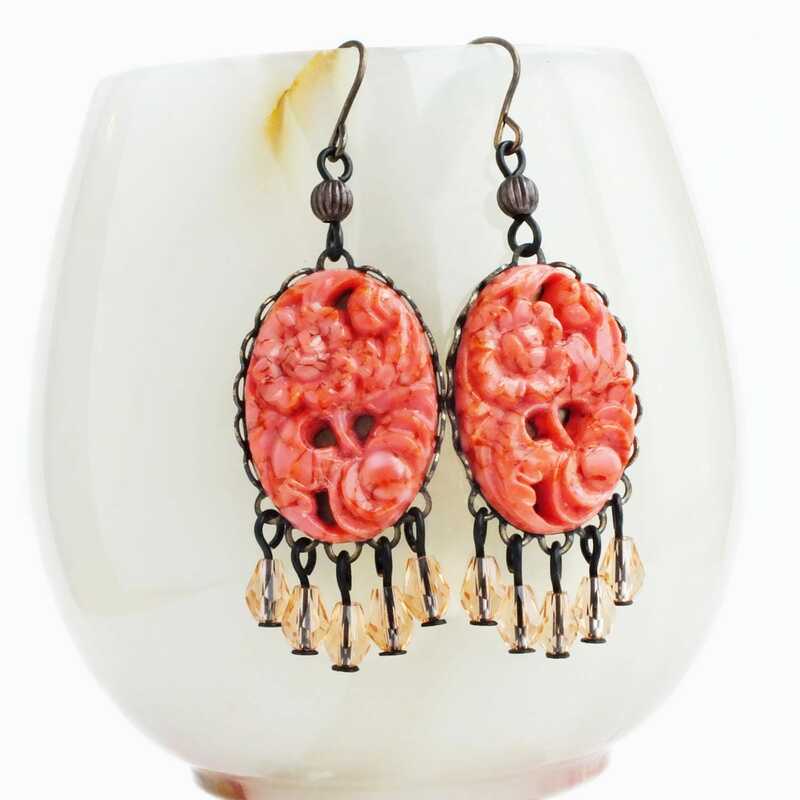 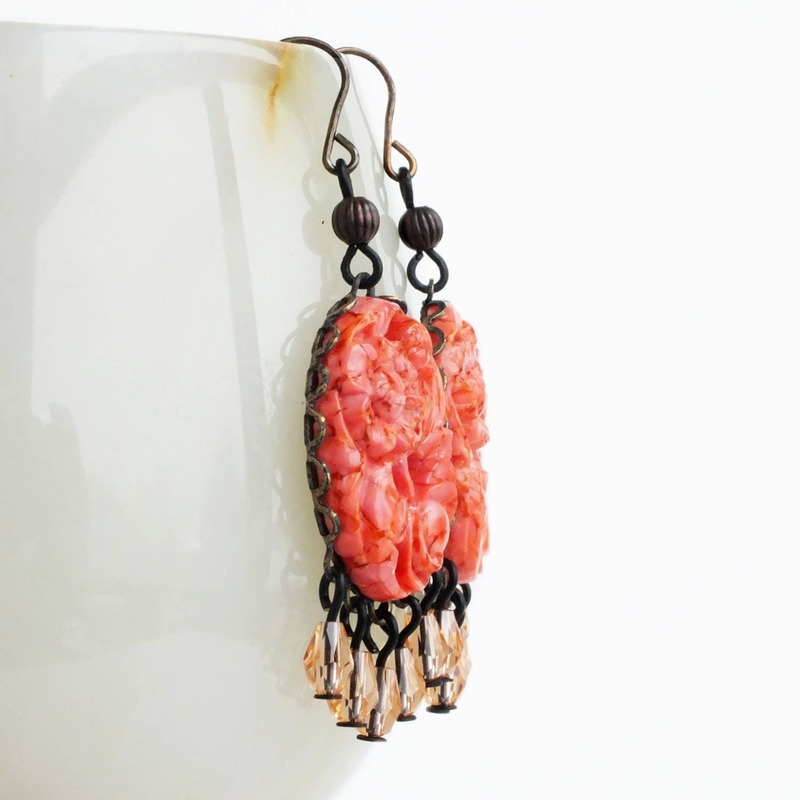 Gorgeous large chandelier earrings made with carved vintage coral red glass floral cabochons set in weathered brass settings adorned with clear peach Czech glass dangles.